With the emergence of tablets, Digital Caddies Inc. saw the opportunity to disrupt the Caddie space, by doing away with expensive GPS Gadgets and introducing an Android Tablet based solution supported by advertising and concessionary revenue. 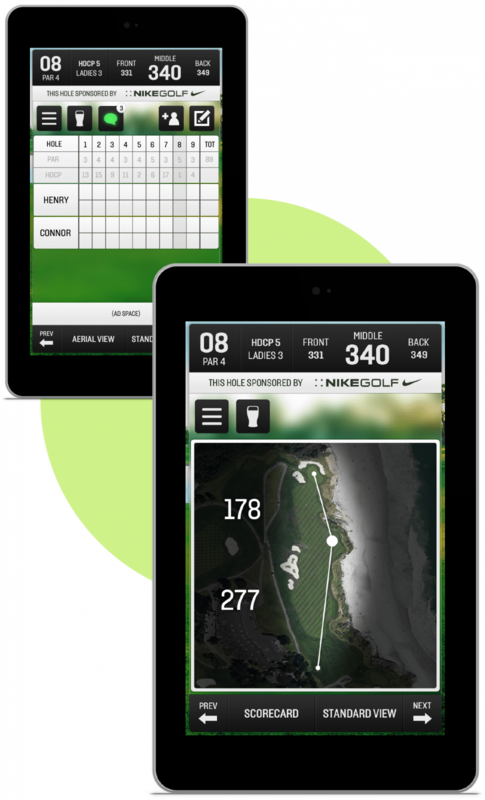 Now every golf player can have his personal Digital Caddie! Here's how our digital strategy brought digital conceirge into a golf course. What do entrepreneurs, influential businessmen, enthusiastic athletes and the upwardly mobile crowd do once they out of their office? Play golf of course! And how does one influence these savvy decision makers when they are in their best and relaxed mood while enjoying a round of golf on the lush green field? This idea was what inspired and fascinated Digital Caddies as they realized that the space of digitized caddies is right for disruption. Founded in 2003, Digital Caddies was among the pioneers in low-cost, easy-to-use and easy-to-implement GPS for golf. 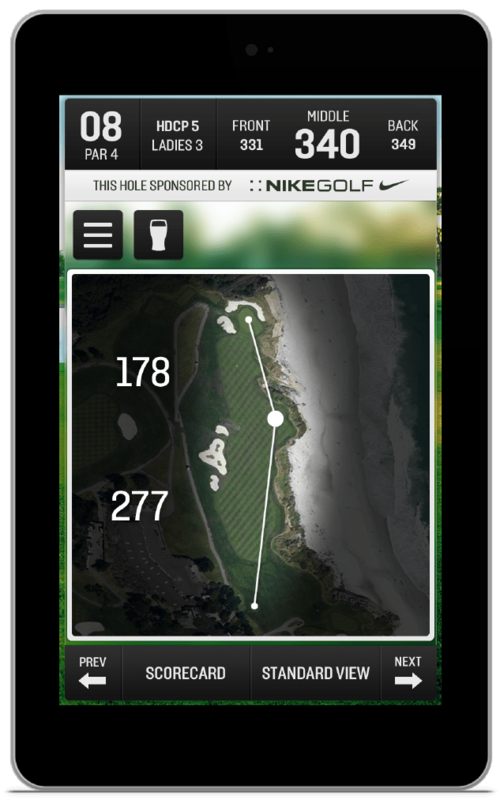 The leading sports tech company attracts customers, golf courses and advertisers alike with its unique GPS technology solution. 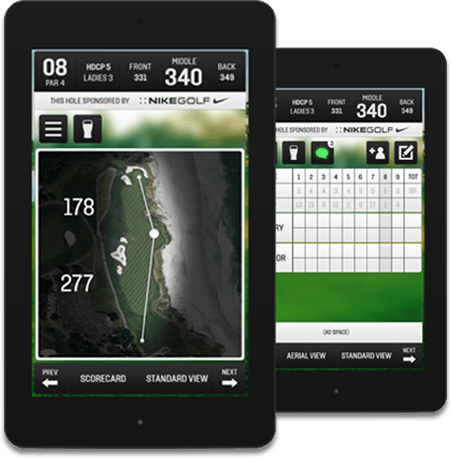 The Android tablet-based GPS system gives golfers easy access to a range of apps and services. It’s almost like having a digital concierge at the golfers’ beck and call. The real-time data displayed on the 10-inch monitor installed in every golf cart provides to golfers vital and accurate information on the distance to holes from their current position, hazards like sand traps, the angle at which the ball needs to be hit, etc., and helps them play better. The interactive device engages golfers through their golf round by giving them aerial hole views and possible course navigation. It also enables players to keep track of their scores, save scorecards digitally and refer to them later. As golfers continuously interact with the Wi-Fi enabled touchscreen device, it opens up a new world of opportunities for advertisers by making social media and advertising an enticing prospect. Advertisers can engage with and influence these sought-after customers by streaming rich media ads like banner ads, high- resolution & full-screen ads, and HD video content. Thus, the company’s new business model gives away the Digital Caddies GPS app for free while creating other avenues for revenue generation - where the revenue is generated through ads rather than having the golf course pay upfront. When Digital Caddies approached [x]cube LABS with their idea of revolutionizing the concept of caddying, we were super excited. The idea struck as awesome to us, to say the least, and we wanted to help digitize the golf course. So we did several workshops with them, conceptualised the app, and finally developed a mobile app that can be easily accessed on any android tablet mounted on each golf cart in the course. When we took up this project, our goal was to create something that golfers are familiar with and we relied on the physical score sheets and the golf score display on TV for inspiration. How the scores are shown and how the golfer’s progress is tracked had to be kept in mind as well, as these are done in a very specific way. In other words, we had to build a robust platform enabling the digital device to take over the regular caddie work by bringing in the experience of the caddie while making sure that the device knows all the data including the distance from the holes, the current positions, the sand traps, etc., and displays it to golfers. On the design front, we successfully emulated the TV scorecard in a way that made sense for mobile, by using typical mobile conventions for navigation and iconography. We also created connection with the actual score that the golfer had by customizing content through CMS. Thus, we provided not only a digital caddie experience but also one that was branded for the golf course. And, in doing all this, we had to make sure the design is agnostic. 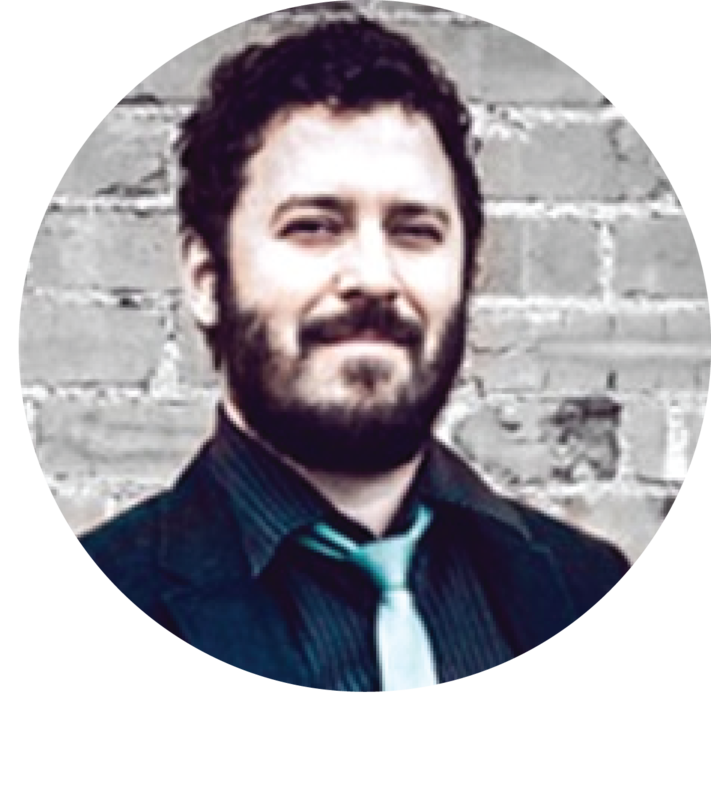 When we bring in a digital tool to replace manual interaction, our major challenge is: how do we make it familiar to users? Hence we had to think of new ways to explain things digitally to golfers and make it as interactive to them as it was when caddies delivered messages verbally. And that was a challenge worth taking up in terms of design. 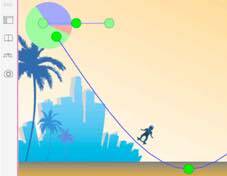 The other challenge we faced was drawing the boundary based on the device’s location on the golf court – as moment-by-moment data has to be relayed to the server to avoid discrepancy. Missing a moment’s data would lead to error in the boundary display. In an app like this, we need to understand how to navigate multiple golf courses and implement the most feasible solution. Now that’s a huge challenge we had to tackle while making sure our app is 100% accurate 100% of the time. 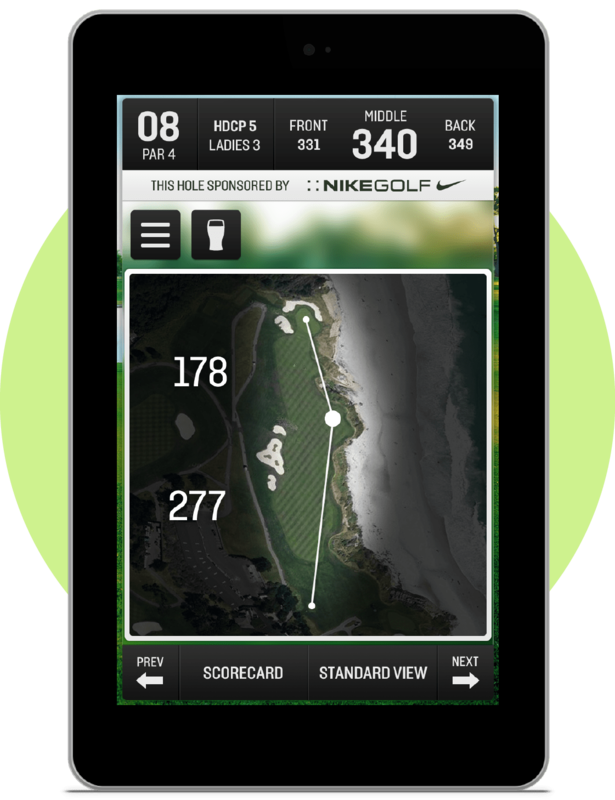 The app also tells the golfers the GPS distances, course landmarks, routing information and at what elevation the ball needs to be hit, among others. This is where accuracy becomes quite challenging. 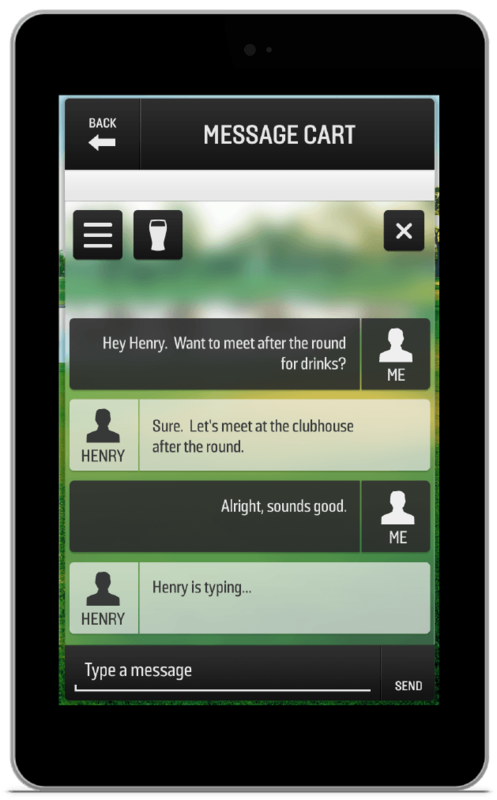 Based on our observations, we arrived at a solution by including new features and new ways of interacting with golfers. We provided to them what they typically expect out of their traditional scorekeeping, by replicating it on the mobile platform using typical mobile conventions for navigation and iconography. While navigating through various golf courses, marking the boundaries, getting accurate GPS distances, course landmarks and routing information becomes a challenge, and we tackled that at multiple levels. To get the accuracy right, especially when it comes to letting the golfers know at what elevation the ball needs to be hit, our experts went to multiple golf courses and tested the app. The execution part was relatively straightforward – especially in terms of art direction, screen resolution, etc. We are happy that we have created a nice experience for golfers on a new platform using tools they are familiar with, and that’s what we believe worked for Digital Caddies. About 11,500 screens or interactive tablets mounted on golf carts are installed at over 150 courses in the top 20 DMAs across the USA, enabling Digital Caddies to leverage the spend capacity of the most influential business decision makers. 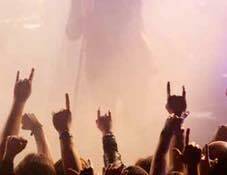 From Handheld Devices To A Mobile App!